BACK ON MARKET. APPROVED SHORT SALE PRICE AT 1 PERCENT CLOSING ASSISTANCE. NO VA OR FHA. 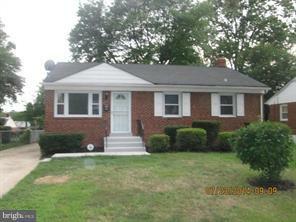 Great brick home features 3 bedrooms on main level and 1 bath on lower level. Finished basement, off-street parking, hardwood floors, granite countertops, one-block from Addison Road Metro. Sold "As is"